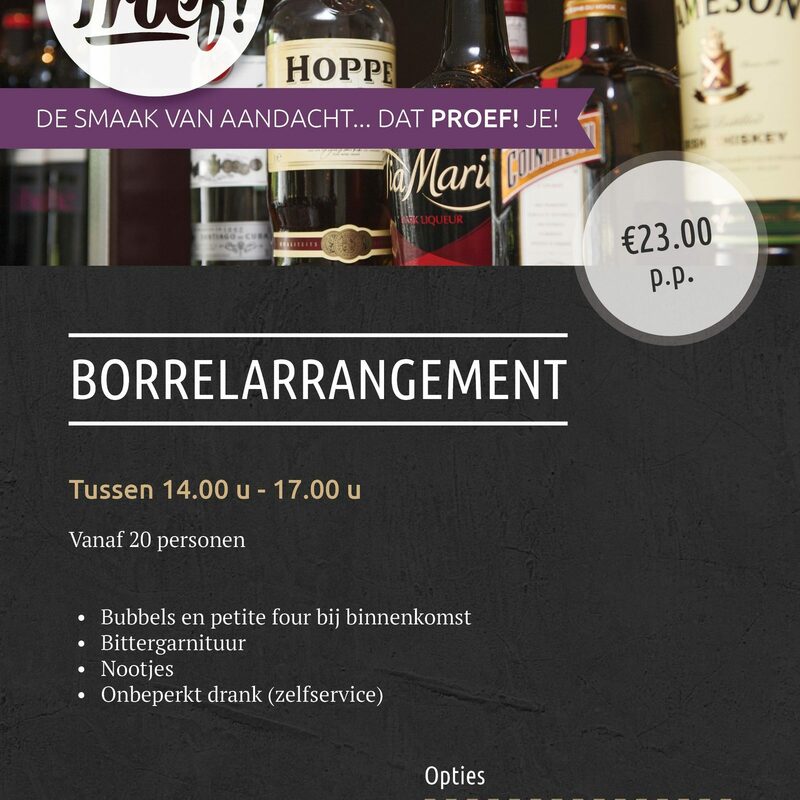 Celebrate your birthday in stylish surroundings at Proef! Voorthuizen. From 2 pm to 5 pm you can come with at least 20 people to a hall at Proef! Voorthuizen. You will be welcomed with a glass of bubbles and petit fours. We will also provide delicious appetizers and nuts. Unlimited drinks are available (self service).